The British Civil War-era ceramic pot stuffed with gold and silver coins and one poignant ring discovered last year by a doctor while gardening in his backyard has been assessed by the British Museum’s treasure trove experts as having a fair market value of £54,500 ($86,400). 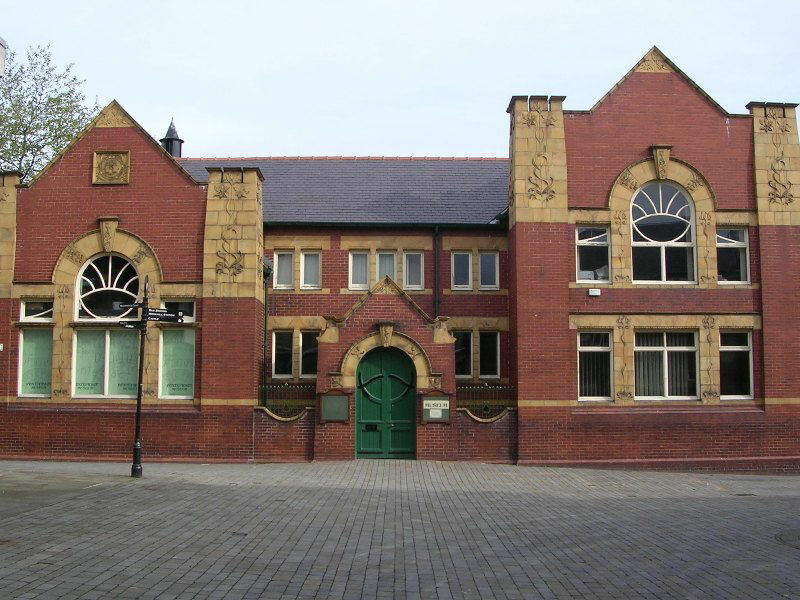 Local museums get first dibs on finds of this nature, so Pontefract Museum, which neighbors the West Yorkshire town of High Ackworth where the treasure was discovered, is trying to raise the money to secure this historic treasure. The council for the Wakefield district (which includes both Ackworth and Pontefract) has applied for national grants that would supply £49,000 of the required sum. They’re fairly confident they’ll receive the grants given how significant this find is and how it relates to the strong Civil War history of the area, but they still need help from private donors to raise the remaining £5,500 ($8719). We know a little more about the discovery than we did when I first blogged about it in March, and from pot to contents, it’s a remarkable glimpse into Civil War history in the royalist stronghold of Pontefract. The ceramic pot is wheel-thrown earthenware made in the kilns at Wrenthorpe, a town in the Wakefield district 13 miles west of Pontefract. It’s in two pieces, but easily repairable and in excellent condition. Inside were found 52 gold coins, 539 silver coins and a gold ring inscribed “When this you see, remember me.” The earliest coin dates to 1547, the latest to 1645-46. 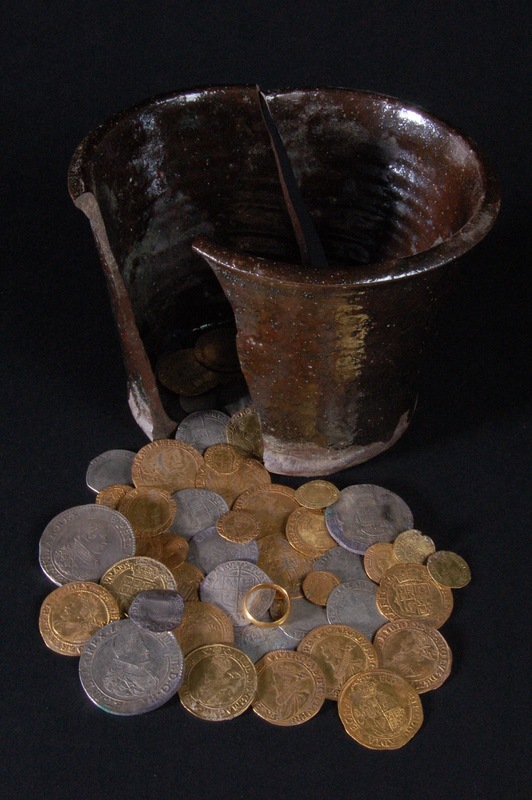 The ring and pot date to around 1645-46 as well, so British Museum experts believe the hoard was buried at that time. The coins are an eclectic collection of denominations that testify to conditions during the Civil War. The 1547 coins of Edward VI were in circulation for a century before they were buried, but even though they are more worn than the newest coins, they are more well-struck than the Charles I coins with the sun mintmark that were in circulation for less than a year before burial. That’s because Charles I started ramping up coin production in the Tower of London mint in the 1630s in order to fund his interventions in the French wars of religion (on the Catholic side, much to Parliament’s disgust) and in the burgeoning Thirty Years’ War (on his sister Elizabeth’s side in Bohemia against the Holy Roman Emperor and his Spanish allies). He tried to raise revenue without convening Parliament by reinstating ancient feudal taxes, but the income was never sufficient for his needs, so he put the mints into overdrive. The increase in production led to a decrease in strike quality. By 1645 the Tower of London mint was under Parliament’s control, but they had a Civil War to fight so they kept on cranking out coins. The fact that there are comparatively few of the 1645-46 sun mintmark coins underscore the hoard’s Royalist leanings. There are few Charles I coins from mints held by Royalists as well, but there were far fewer of those in circulation at the time of the burial, so the small number is disproportionately significant. There are some non-English coins in the collection. Along with Irish and Scottish pieces, there are also silver ducatoons from the Spanish Netherlands. I was not aware there was such a coin as a ducatoon, and I feel very much the richer for knowing it because that is a truly spectacular name. When Royalist forces found themselves short of cash to pay their troops, Charles I made ducatoons legal tender in England. His wife Queen Henrietta Maria personally sent £500 in ducatoons that she had raised on the mainland to the commander of the Royalist troops in York. Returning from a fundraising trip in 1643, she even stopped at Pontefract Castle on her way to join her husband at Oxford. It’s therefore entirely possible that the ducatoons in the hoard have a direct connection with the queen. 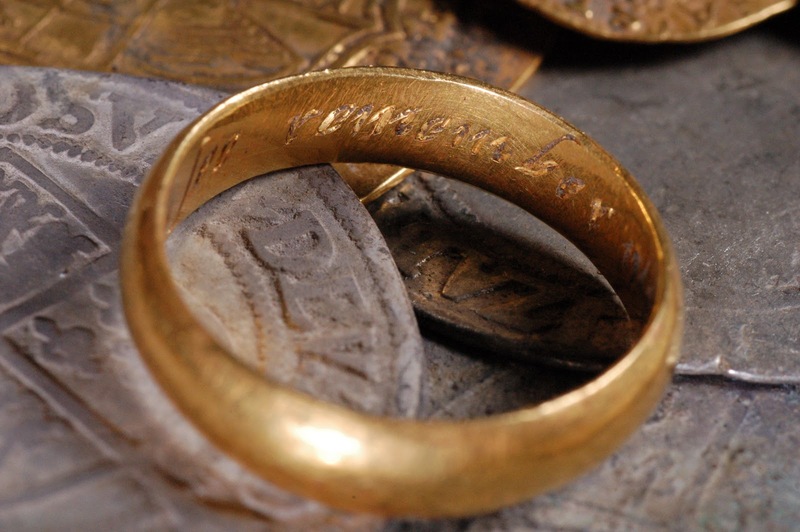 The range of coins and the gold posy ring (simple gold bands inscribed with an expression of love; the Ashmolean has a huge collection of them) suggest this was the portable wealth of a member of the gentry rather than of a merchant. Someone with royal connections, perhaps, and with Royalist leanings, certainly. You can see why Pontefract, the last Royalist holdout which finally surrendered two months after King Charles I had been beheaded, is keen to keep this treasure. As of their latest press release issued Monday, November 12th, they have raised £838.50 of the £5,500 needed. I’d hate to think that they’ll have to pass on acquiring the treasure because they can’t raise such a comparatively modest amount. For people in the area, you can donate in person by asking for a donation envelope at the Pontefract Museum, Pontefract Castle, Sandal Castle, the Wakefield Tourist Information Centre or any Wakefield district library. Everyone else must donate by mail. Write a check payable to “Wakefield Council – Ackworth Hoard” and mail it to The Ackworth Hoard, Pontefract Museum, 5 Salter Row, Pontefract, WF8 1BA. I’ve encountered this checks-only setup so often with culture heritage fundraisers and it bums me out because it assumes that the only people who will give a buck or two to this kind of cause are people who live in the area. You don’t have to be local to want to help out. Globalization can pay off for the little guy too. Many of these museums and associated councils have a web presence. If not a fully fledged website, they almost always have Facebook and Twitter accounts. Throw up a PayPal button, you know what I’m saying? Even locals may not get around to sending a check, but they’ll gladly click to donate. Immediacy is money in the bank. I’ve tweeted (yeah. I tweeted.) the Wakefield Council if they might set up online donations so we furriners could chip in easily, and they thought it was a good suggestion. They’re going to pass it along to the museum. I’ll keep an eye open for any movement on this score. Meanwhile, I’m considering taking a page out of the Tesla museum’s book and just starting a proxy campaign. The fees for a third party, non-US campaign are potentially scary, and I don’t have anything like The Oatmeal’s reach. Any suggestions on how best to pull something like this off would be very much appreciated. This entry was posted on Friday, November 16th, 2012 at 2:14 PM	and is filed under Modern(ish), Museums, Renaissance, Treasures. You can follow any responses to this entry through the RSS 2.0 feed. You can skip to the end and leave a response. Pinging is currently not allowed. It’s sad that the doctor who found the coins didn’t donate them to the museum. His name would have lived forever. Scrolling through the images via my Google Reader RSS I thought for sure someone had actually found a real life Precious. And I was immediately envious.